Which Battery Packs are Compatible with the Qolsys IQ Panel 2? The battery pack that is compatible with the Qolsys IQ Panel 2 is the Qolsys IQ2 Battery. This accessory will keep an IQ Panel 2 System running for up to 24 hours at a time. After several years of use, the battery will lose its ability to store a charge, and it will need to be replaced. Every alarm system should have a proper backup battery so that it remains powered on when the electricity goes out. Once AC power is lost, the system will need to rely on its backup battery for power. If both AC power and battery power are lost, then the system will shut down entirely. 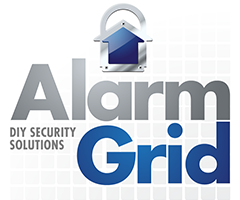 The system cannot send any alarm reports when the system is shut down, so it will be as though the end user is unmonitored. For that reason, a user will want to make sure that their system is always powered on and backup power is always available. The Qolsys IQ2 Battery is compatible with both the IQ Panel 2 and the IQ Panel 2 Plus Systems. The system will automatically switch over to battery power once AC power is lost. The user will not need to take any action, but some system functions may become unavailable until AC power is restored. If the user disconnected AC power, they should work to restore it as soon as possible. Keeping the system running on AC power is always best practice. Remember, the backup battery can only store a charge while the system is running on AC power, and you will want it to be ready for when the power is out next time. You will know that the battery needs to be replaced because a low-battery warning will appear. The warning will not disappear even after 24 hours of the system system running on AC power. This is because the battery is not storing enough power to dismiss the low-battery warning. If you need to replace the backup battery, you should power down the system first. Replacing the battery with the system powered on can cause damage. The IQ Panel 2 has a menu option for powering down the system. After you replace the battery, you can power the system back on by pressing and holding the power button on the side. When the battery has a maximum charge, it can keep the system powered on for up to 24 hours.